Sweetly soft yellow and blue hues are a charming display in our whitewashed basket. 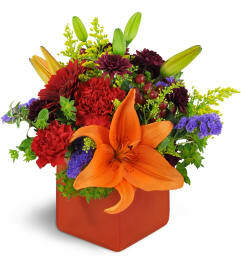 Perfect for a new mom and dad, a get-well, and more. 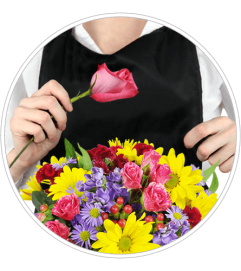 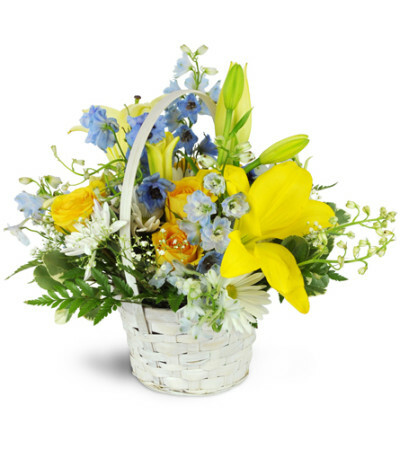 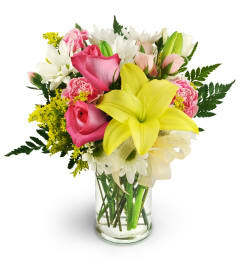 Yellow roses and lilies blend charmingly with blue delphinium and white daisies in a lovely white basket.